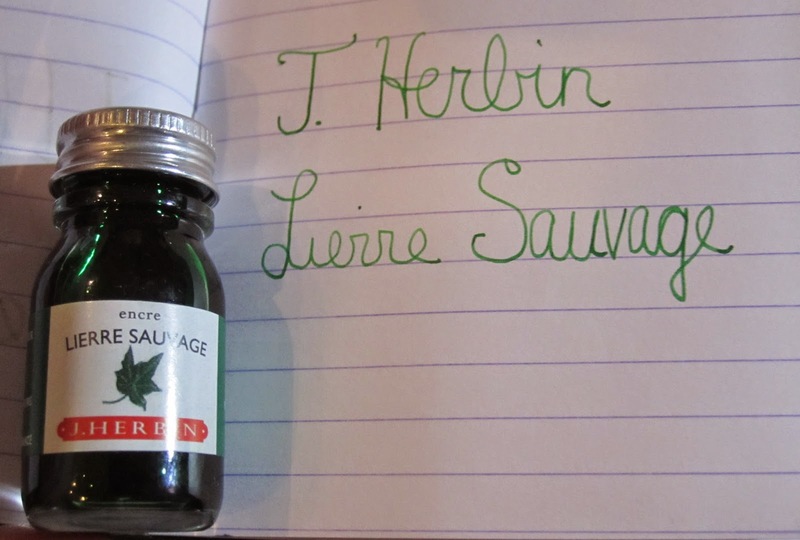 Earlier this week, I briefly reviewed J. Herbin’s Vert Olive, and today I’m doing the same for Lierre Sauvage (Wild Ivy). For some reason, I always hesitate to use green, and then when I do, I always wonder why I don’t use it more often. I find myself drawn more to the olives than to the ‘grass’ greens, but nonetheless, I like Lierre Sauvage. I didn’t notice any shading on either the Roadbook or the GraF it dot grid paper. Since I’m left-handed, I decided to try using my right hand for the second writing example, just to see if holding the nib at a different angle would make a difference. I didn’t seem to. I’m more heavy-handed with that hand, so the writing was darker over all, but still no shading. I do know that other’s have had shading with this ink (hence my experiment), so it was either the weather or my pen that made a difference. This ink is very readable. Where Vert Olive would be too light for extensive writing, Lierre Sauvage is dark enough even for long correspondence. 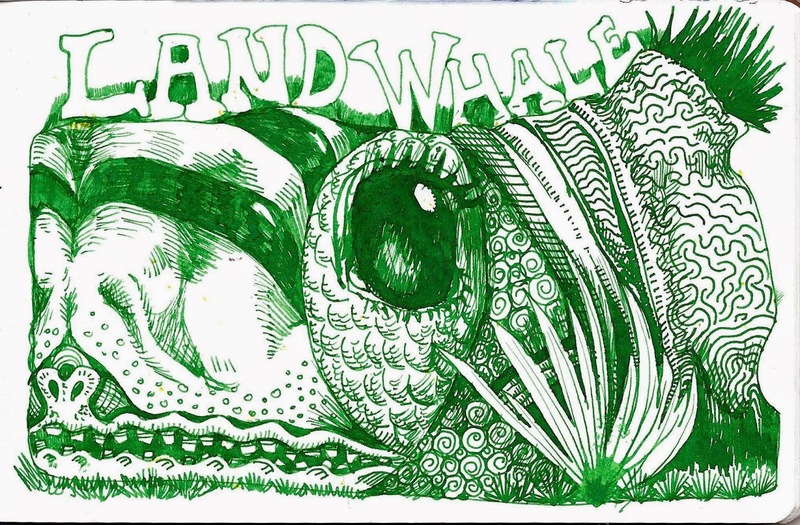 It’s a good ink for drawing with black & white values (with green substituted for black, of course.) It’s not as good for more subtle shading. I had difficulty getting a range of value. I had to saturate with several layers to get a distinct difference–to the point where the paper was starting to pill. To get my lights I had to rely on hatching with the white of the paper showing through. I’ll say that this ink is in the ‘wet’ range, with a nice flow that makes filling in spaces easy, and provides a nice writing experience. I know I’ll use it for drawing, because that’s mostly what I do with my fountain pens. However, if I were going to choose a green ink for writing, this is the one I’d pick. I think I’m starting to go ‘green’!